The AIB-UKI Chapter and Palgrave Macmillan sport a long-standing collaborative relationship in the publishing of a book series. Over twenty volumes have now been published. The series is managed by AIB-UKI Executive Committee members and individual volumes are edited by executive committee members and/or conference chairs. Contributions comprise the best papers from the annual conference which focus on a particular theme. For more details on each book, please click on the title. You can download the references in RIS or Endnote format below. Castellani, Davide, Rajneesh Narula, Quyen T.K. Nguyen, Irina Surdu, and James T. Walker Eds. (2018), Contemporary Issues in International Business: Institutions, Strategy and Performance. Cham, CH: Palgrave Macmillan. Ibeh, Kevin, Paz Estrella Tolentino, Odile E. M. Janne, and Xiaming Liu Eds. 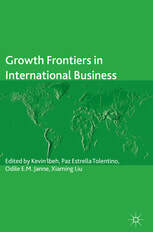 (2017), Growth Frontiers in International Business. Cham, CH: Springer Palgrave Macmillan. 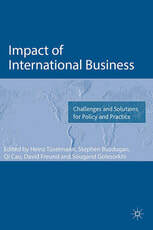 Tüselmann, Heinz, Stephen Buzdugan, Qi Cao, David Freund, and Sougand Golesorkhi (2016), Impact of International Business - Challenges and Solutions for Policy and Practice. Houndmills, Basingstoke, Hampshire, U.K.: Palgrave Macmillan. Temouri, Yama and Chris Jones Eds. 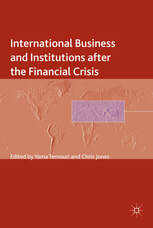 (2014), International business and institutions after the financial crisis. Houndmills, Basingstoke, U.K.: Palgrave Macmillan. Cook, Gary and Jennifer Johns Eds. 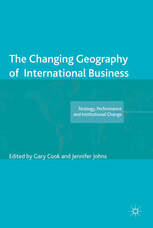 (2013), The changing geography of international business. Houndmills, Basingstoke, U.K.: Palgrave MacMillan. Harris, S., Kuivalainen, O., and Stoyanova, V. (Eds.) 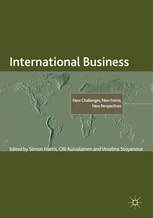 (2012), International business - new challenges, new forms, new perspectives. Palgrave MacMillan, Houndmills, Basingstoke, U.K.
Berrill, J., Hutson, E., and Sinkovics, R.R. (Eds.) 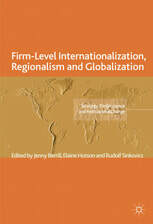 (2011), Firm-level internationalisation, regionalism and globalization. Palgrave MacMillan, Houndmills, Basingstoke, U.K.
Dimitratos, P. and Jones, M.V. (Eds.) 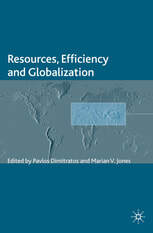 (2010), Resources, efficiency and globalization. Palgrave MacMillan, Houndmills, Basingstoke, U.K.
Ibeh, K. and Davies, S. (Eds.) 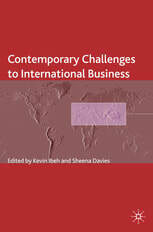 (2009), Contemporary challenges to international business. Palgrave MacMillan, Houndmills, Basingstoke, U.K. Strange, R. and Jackson, G. (Eds.) (2008), Corporate governance and international business - strategy, performance and institutional change. Palgrave MacMillan, Houndmills, Basingstoke, U.K.
Sinkovics, R.R. and Yamin, M. (Eds.) (2007), Anxieties and management responses in international business. Palgrave MacMillan, Houndmills, Basingstoke, U.K.
Fai, F.M. and Morgan, E.J. (Eds.) (2006), Managerial issues in international business. Palgrave MacMillan, Houndmills, Basingstoke, U.K.
Morrow, T., Loane, S., Bell, J., and Wheeler, C. (Eds.) (2005), International business in an enlarging europe. Palgrave Macmillan, Houndmills, Basingstoke, U.K.
McDonald, F., Mayer, M., and Buck, T. (Eds.) (2004), The process of internationalization: Strategic, cultural, and policy perspectives. Palgrave Macmillan, Houndmills, Basingstoke, U.K.
Wheeler, C., McDonald, F., and Greaves, I. (Eds.) (2003), Internationalization: Firm strategies and management. Palgrave Macmillan, Houndmills, Basingstoke, U.K.
McDonald, Frank, Heinz-Josef Tüselmann, and Colin Wheeler Eds. (2002), International Business: Adjusting to New Challenges and Opportunities. Houndmills, Basingstoke, U.K.: Palgrave MacMillan. Taggart, James. H., Michael C. McDermott, and Maureen Berry Eds. (2001), Multinationals in a New Era: International Strategy and Management. Houndmills, Basingstoke, U.K.: Palgrave. Hughes, Michael and James Taggart Eds. (2001), International Business: European Dimensions. Basingstoke: Palgrave. Millar, Carla, Robert M. Grant, and Chong Ju Choi Eds. (2000), International Business: Emerging Issues and Emerging Markets. Basingstoke: Macmillan. Burton, Fred N., Malcolm Chapman, and Adam Cross Eds. (1999), International Business Organization: Subsidiary Management, Entry Strategies and Emerging Markets. Basingstoke: MacMillan Press. Hooley, Graham, Ray Loveridge, and David Wilson Eds. 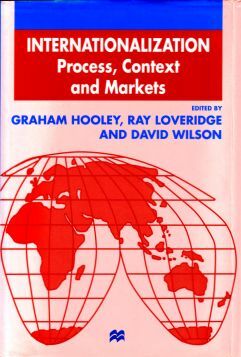 (1998), Internationalization: Process, Context and Markets. Houndmills: Macmillan Press. Buckley, Peter J., Fred Burton, and Hafiz Mirza Eds. 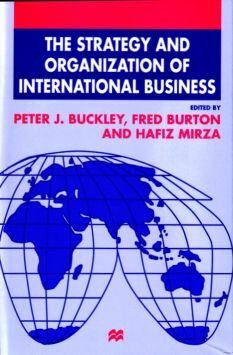 (1998), The Strategy and Organization of International Business. Houndmills: Macmillan Press. Burton, Fred, Mo Yamin, and Stephen Young Eds. (1996), International Business and Europe in Transition. Houndmills: Macmillan Press.